lovetherun Archives - Make Time. Monday, a run through the driving rain, hail, a sweet reminder. I started running at twenty four. I could not even run a mile before I started to wheeze. But, within two years, I was up to five miles five to six days per week and within two more years I was training for my first marathon. 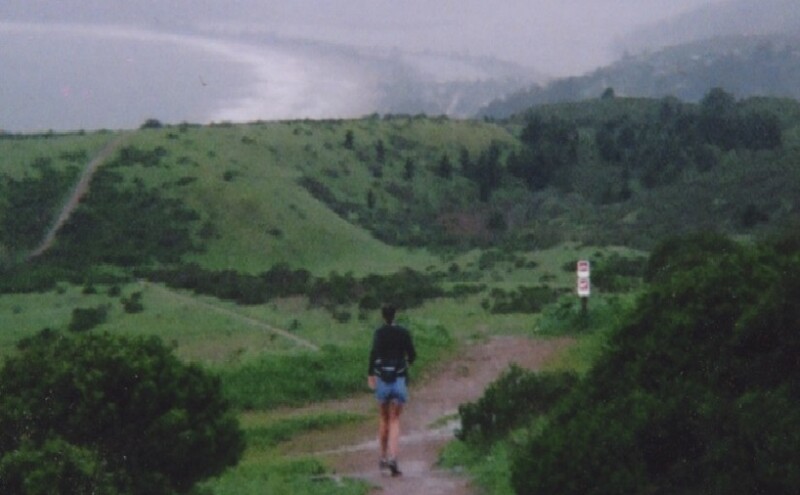 Running helped me through some challenging years, gave me some sweet solitude when solitude was hard to come by. It made me strong enough to make some tough decisions, eventually. By the time I moved home to Olympia in 2006 from where I’d spent seven years living in the San Francisco Bay Area, I’d run a dozen half marathons and three marathons. Returned home, I ran a dozen more, joined a running group. I was proud of the fact that I could run a half marathon without training at all, if I wanted to. It wouldn’t be pretty, but I could do it. I took that strength for granted. No that I’m back to running regularly after two years of minimal to no running due to stress fractures, I am humbled. A three-four mile run is currently my limit, a run I would have called a short run a few years back. In order to keep myself true to a schedule, I now keep extra clothes and shoes in the closet at work, so I can have accomplished a run before I even get home in the evenings. Going out again for a run after returning to the comfort of home is not easy for me. The moment I walk in the door, responsibility beckons. So, last Monday, a burst of sun broke through a cloudy day at about 3:15 in the afternoon and I hustled to change and get out the door. Being mid-March, I knew that sun could disappear in an instant. And, it did. The rain started in a downpour that turned to little hail pellets bouncing off my skin as I ran at a slow pace, head down up the Garfield Nature Trail with a brain freeze, something I had no idea could happen from getting hailed on. What did I feel in that moment? You might be surprised to hear that I felt strong and ecstatically alive. Well, okay, at first, I felt cold and annoyed. But as I propelled my cold, wet, annoyed body forward, I remembered how the struggle we face on a particularly hard run and they way we learn to breathe and move through that struggle makes us stronger for all of life’s struggles, gives us strength, endurance, and trust. Then, I felt strong and ecstatically alive. I’m glad to be back in my running shoes. Not just glad, but grateful. This shift back to running is part of a larger reconnection with my physical body, a body that saved me from so much, so often. It wasn’t just the injuries, it was also work stress, and life changes. Not only was I not running, but my yoga practice had also dwindled to almost nothing. I’m back on the mat too, beginning with a minimum of thirty minutes per day. I celebrated spring yesterday with 108 sun salutations, something I used to do twice a year, but hadn’t done in…six or seven? I suppose whether it’s running or yoga or hiking, which I also love, or any other practice that demands movement of the body and breath, doesn’t matter. So long as we go there. I wrote a novella about the role of breath and movement can play in saving a life, yet in the midst of the second draft, I broke, and then other things rushed in to fill the empty spaces where those practices had been. Things have a tendency to do that, which is why we have to MAKE TIME for the practices that fulfill us. We have to run, write, stretch, breathe–move. This entry was posted in Be here now., Goals, Inspiration, Movement, Musings and tagged beherenow, breathe, hallelujah, lovetherun, loveyoga on 2016-03-22 by lizshine74.